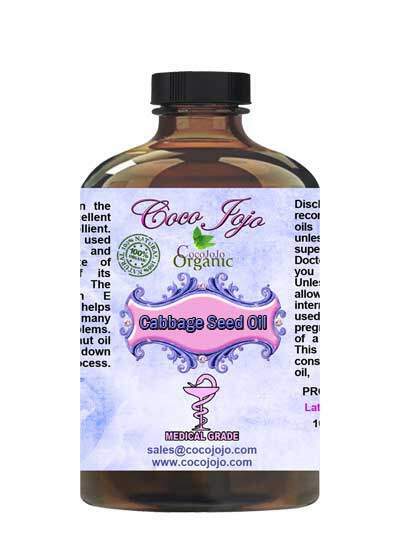 Cabbage Seed Oil 100% Pure Unrefined Pharmaceutical Grade product is Unrefined, which means it is in the purest form that it can possibly be in. Cabbage is an abundant source of Vitamin C. You might be surprised to know that it is actually richer in vitamin C than oranges, which is traditionally considered the “best” source of that vital nutrient. Vitamin C, as one of the best antioxidants. Cabbage is excellent to make you look younger. This is because of the presence of Vitamin C in cabbage. 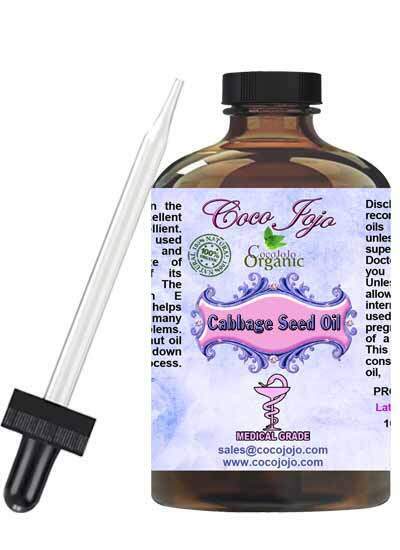 Cabbage is also rich in Vitamin A.Vitamin E present in Cabbage seed oil provides glowing skin and makes the skin fairer. This vitamin is an important constituent in many of the skin care products. The presence of sulfur in cabbage helps the skin to fight against pollutions. It also protects your skin.